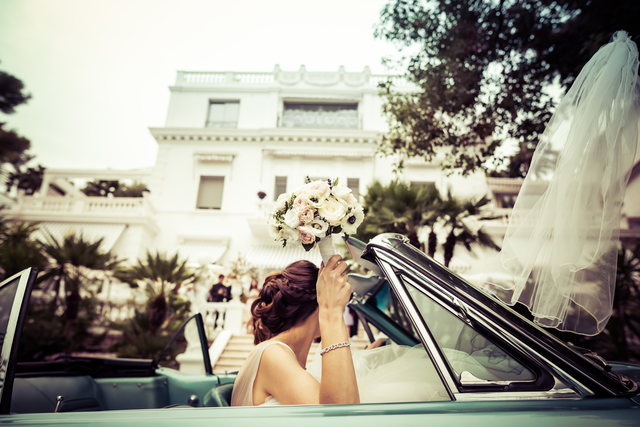 This beautiful couple came from sunny California to celebrate their marriage in the splendid surroundings of the French Riviera. 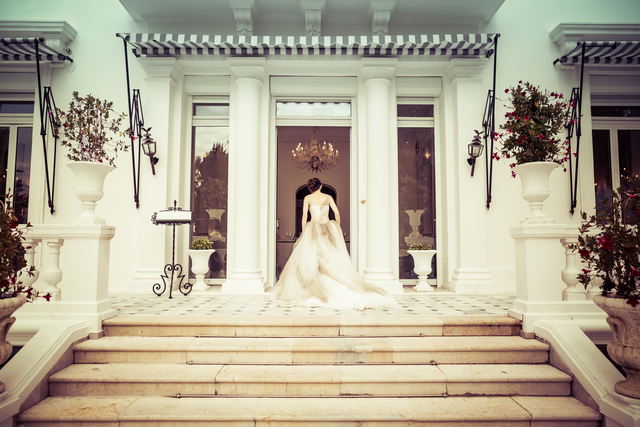 They chose an intimate, elegant style of their celebration and the final result was just splendid. 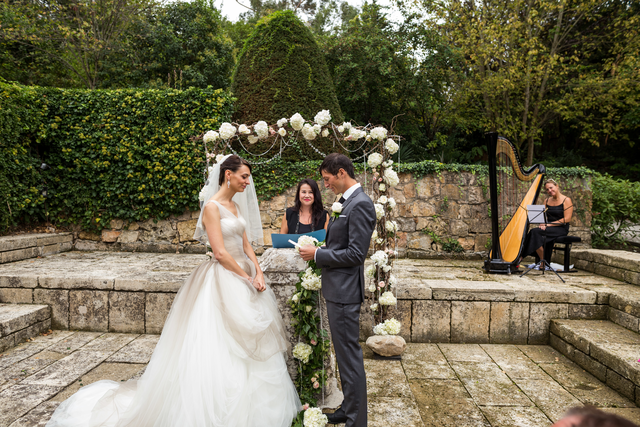 Touching ceremony took place in the countryside venue in Mougins, French Riviera – the Park “Lenôtre” and splendid reception was held in the stunning Belle Époque villa in Cannes. 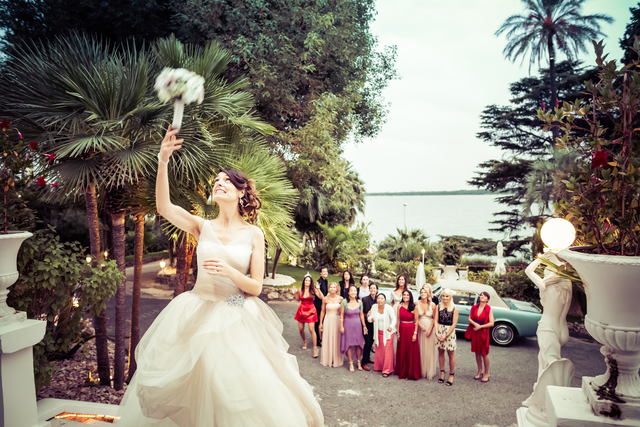 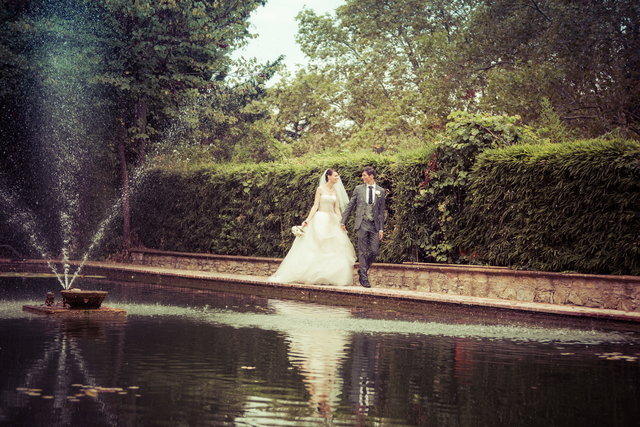 This amazing venue is known for its breathtaking sea view and wide, flourishing gardens. 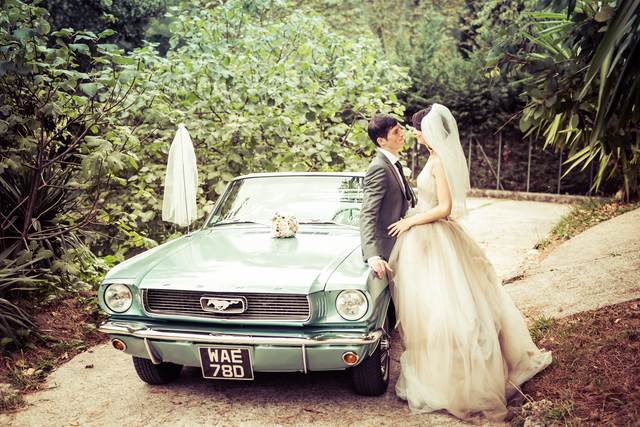 The loving couple made it to their wedding in a stunning vintage car which complemented their classic elegance style. 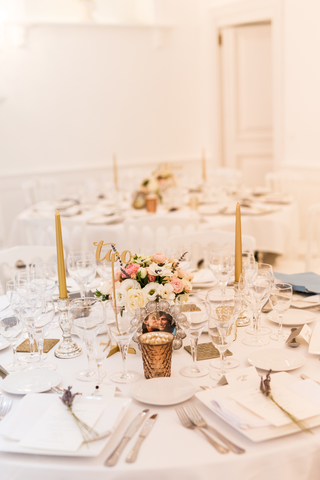 The decorations were in creamy and pastels colors. 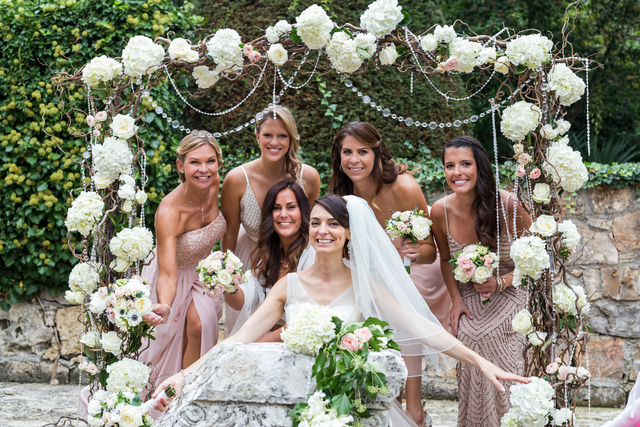 The main highlight was a splendid square arch lavishly decorated with beautiful fresh flowers. 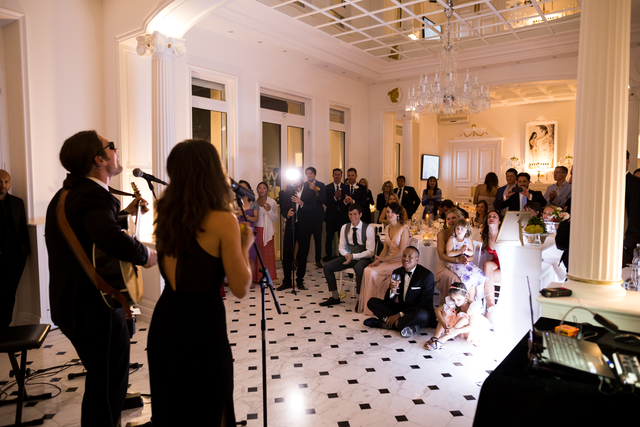 The reception entertainments were elegant and sophisticated. 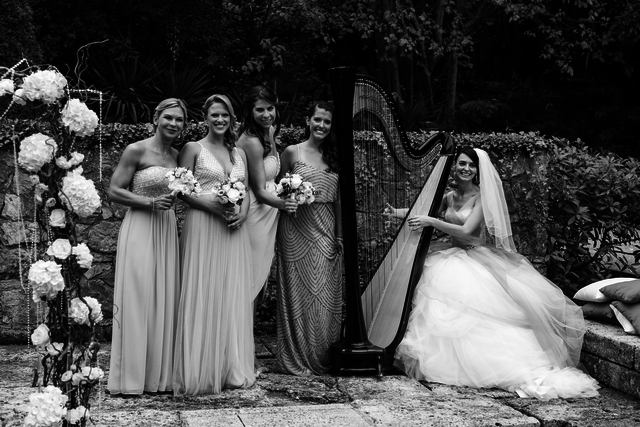 Refined harpist and talented band (Bergamot) were entertaining the guests with their performance on the highest level.